We’re still raising money, so that we can equip the new Village Centre with all the goodies that a new hall needs. Just to update everyone, our lottery grant and other finances are in place, although there are a few i’s to be dotted and t’s to be crossed before we can actually start building. At the moment we hope to begin construction in October, but we’ll give a more accurate start date as soon as we can. Meanwhile, please keep supporting our Village Centre Lottery and other fundraising events. 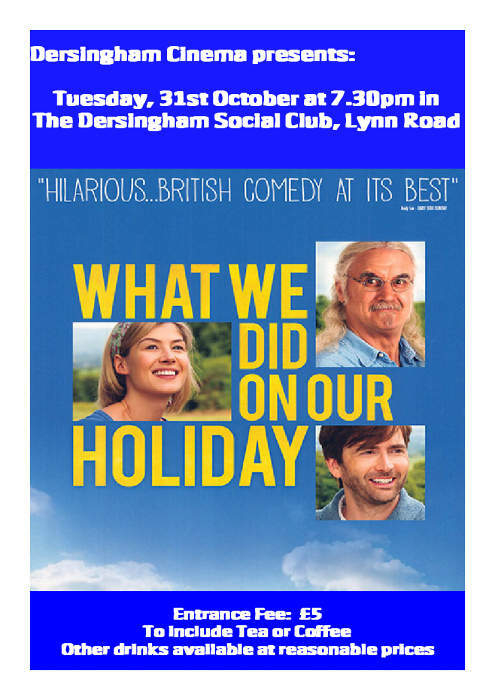 The village cinema has moved to the Dersingham Social Club until the new hall is ready, and you can see details of the next couple of films from the posters here. 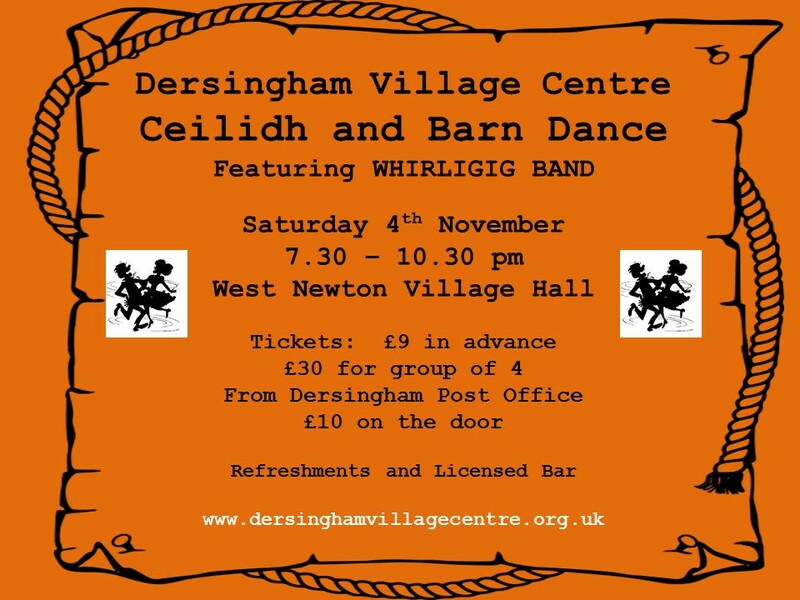 A little later in the year we are holding a Ceilidh and Barn Dance on 4th November. 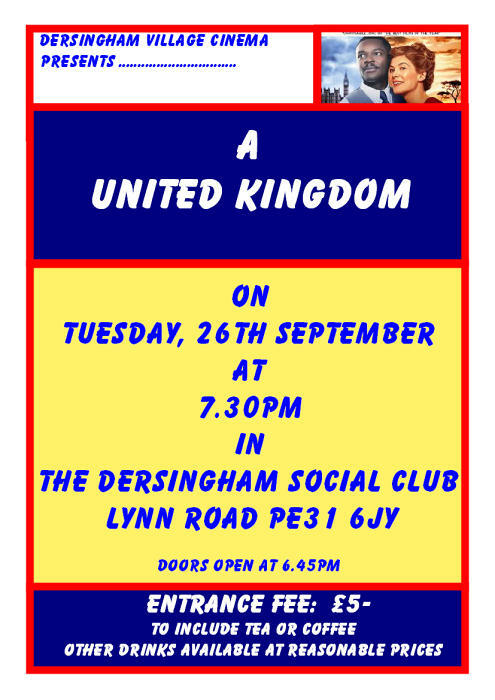 All the profits from the cinema and the dance will go to Village Centre funds, so put the dates in your diary now. Thanks! Previous PostSeptember Lottery DrawNext PostWork Begins!